Countless schools across the nation strive to make character a feature of education. 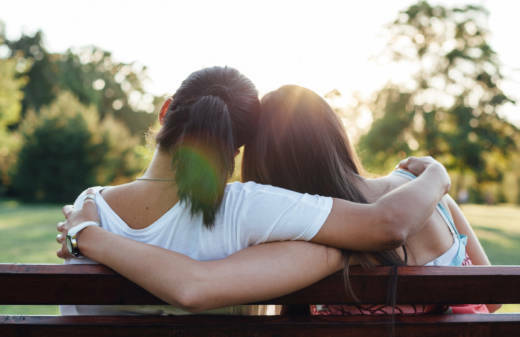 Whether through classes on social-emotional learning, mindfulness exercises or reminders about the virtues of gratitude, thousands of students are exposed to messages that deplore cheating and bullying and celebrate kindness and consideration. In spite of the lecturing, however, 51 percent of high school kids owned up to cheating on exams, according to the Josephson Institute. Another 62 percent believe that teachers value academic achievement over kindness to others. Carrollwood Day School, a private school in Tampa, Florida, set out an ambitious plan to alter those numbers. That effort began in earnest about a year ago, after a handful of guidance counselors attended a conference on kindness put on by Harvard’s Making Caring Common project; they vowed to bring compassion back to their school. Carrollwood Day had always emphasized character education, but the adult-driven messages, no matter how valid or well-meaning, seemed to be gliding past their intended audience, said Krista Diamond, who attended the event. She and her colleagues began to plan. It was critical to Diamond that these initiatives not resemble a form of character boot camp, with intense immersion for a few days, and then nothing the rest of the year. “You can’t just snap your fingers, and show a video, and it’s done," she said. Rather, the school needed to adopt a philosophy of kindness that was “infused and woven through” all school activities. This would take time and flexibility, she said. Also, the initiatives had to seem to come from within, organically, because students would be quick to resist orders from above. They started by announcing the school’s theme for the year: “Carrollwood Day School: Where Caring is Common.” To bring in parents and teachers, they invited both groups to read Michele Borba’s book UnSelfie, which extols the virtues of empathy, and then welcomed Borba in for workshops. Realizing that “great ideas don’t always fly with the high school population,” as she put it, Diamond worked with a small student advisory board to create and implement initiatives. It was a turning point that allowed the school’s character lessons to reflect student needs. “Everything we do now is run through the students; they are our vetting process,” she said. 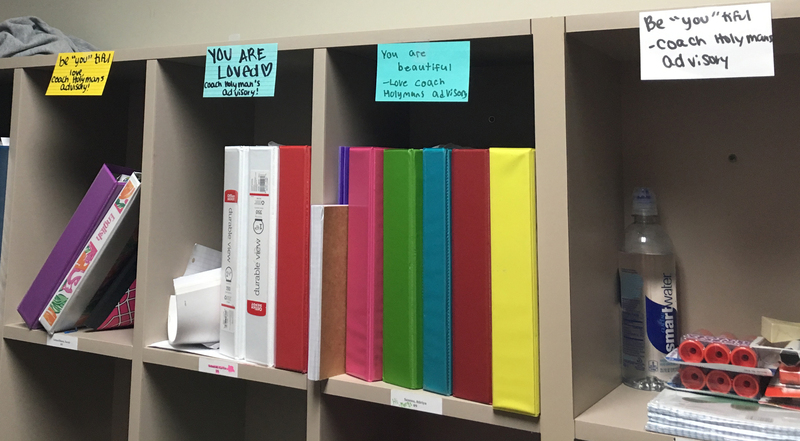 After a popular and thoughtful senior died in the fall, students decided to commemorate his legacy by taking active steps to be empathetic. They called the kindness initiative “Parker’s Promise,” after their late classmate. A quote from his college essay—“The fine line between success and adversity can be changed by just a grin or a little eye twinkle”—became their unofficial rallying cry. The student advisory board, renamed the Making Character Count Committee, got to work. Once a week, these students gather outside before the opening bell rings and greet everyone coming in with candy, music and a big smile. 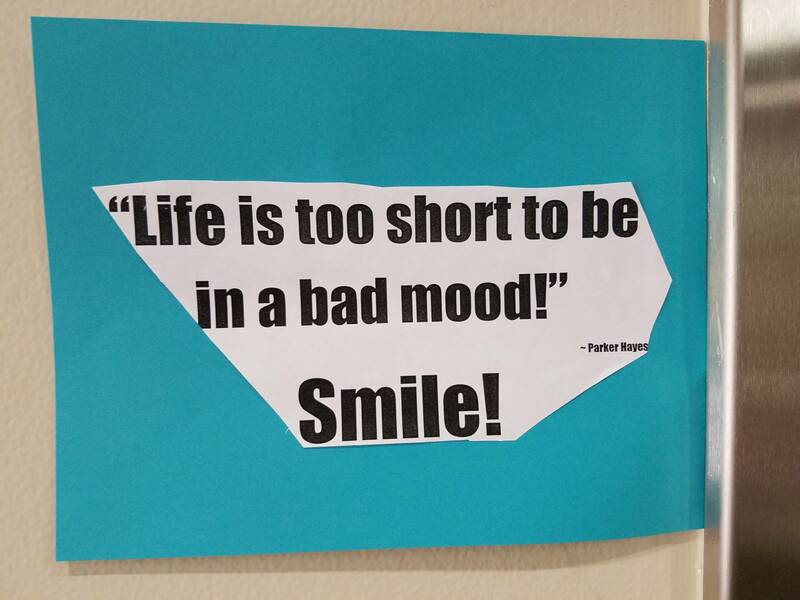 They hang posters with concrete messages on how to be kind: "Hold the door,” or “Smile, it makes a difference.” With Diamond’s guidance, the students meet with some of the 25 different advisory groups and lead conversations with students on how to build empathy. They also do a “mix-it-up” exercise, borrowed from Borba’s book, that moves students around in advisory groups to blend grade levels. And to get teacher buy-in, select students attend occasional faculty meetings to share what excites them about their project and how their classmates are responding. Carrollwood Day is one of 70 schools around the country who have partnered with Harvard’s Making Caring Common project to make compassion an expectation of their students. “It’s less a curriculum than attending to little things,” said Richard Weissbourd, who heads the university effort. Simple changes can have an outsized effect. Knowing the names of all the students in school, being generous with “hellos,” and encouraging teachers to greet every student by name in class, for example, are low-burden but powerful exercises, he added. Studies in social-emotional learning show that the most successful “kindness strategies” are short and focused, rooted in relationships, carried out repeatedly, and related to actual events in school, said Luba Feigenberg, who directs research for Making Caring Common project. Teachers need resources and support so that they can act as caring role models for their students, she added. Two of the most fruitful exercises Carrollwood Day embraced, both borrowed from the Harvard project, were "Circle of Concern" and "Relationship Mapping." In the former, all students were asked to think about who they cared for most, those in their inner circle. Then they were challenged to widen that circle, to consider who was outside and might be welcomed in. The goal was to prompt students to think beyond themselves and their narrow group and to begin to care for others. During the Relationship Mapping exercise, faculty studied the names of all the children in school and sorted them into two groups: students they were concerned about, and those with whom they had relationships. At the end, the exercise uncovered the most vulnerable students: those identified as potentially troubled and lacking a connection with an adult. At the end, these students were paired with a teacher to serve as a mentor. “This was eye-opening for teachers,” Diamond said. And some kids agree. Abri Weissman, a senior who heads up the Making Character Count Committee, has seen a ripple effect of kindness spreading through the school, especially during the second semester. Without prompting, friends have told her stories about sweet gestures coming from classmates, none of which originated in her committee. She sees students from different grades opening up to each other, and being friendlier—a result, she believes, of the mix-it-up exercises. The morning music and enthusiastic greetings have had a positive effect, she added. Altogether, “It’s like a kindness virus,” Weissman said.